Simply put, water pressure regulators (also known as water pressure reducing valves and thermal expansion tanks) are the devices that control the water pressure in a pressurized plumbing system containing water of course. There are several locations in the San Fernando Valley that have excessively high water pressure delivered to homes and businesses (Porter Ranch, Chatsworth, Tarzana, San Fernando Valley, Woodland Hills, Sherman Oaks, Van Nuys to name a few). The days of just having a water pressure regulator take care of the problem at hand are long gone. Now a thermal expansion tank is typically needed to handle the extreme pressure build up that a water heater creates during its heating cycles. 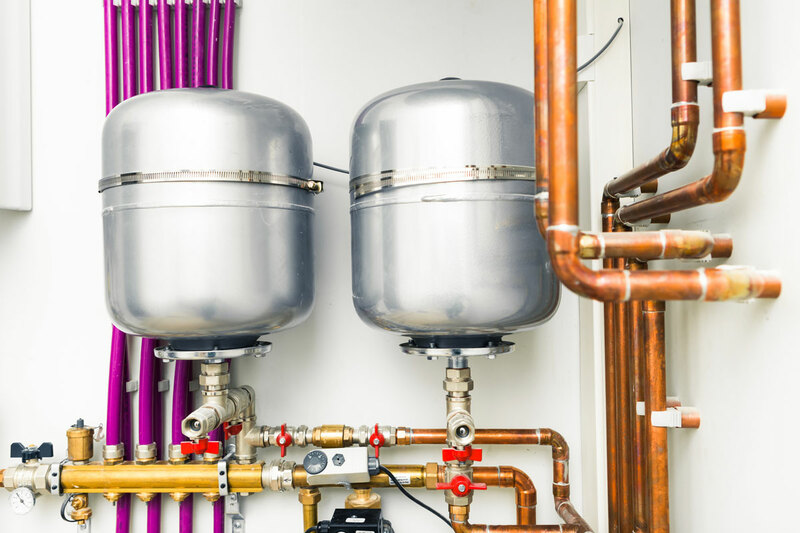 It’s becoming very common to have both a water pressure regulator and a thermal expansion tank working in combination to control water pressures within the pressurized plumbing system. Keeping a close tab on your pressurized plumbing system is the safest way to ward off plumbing emergencies due to pipes bursting. Checking the water pressure on a system should be done frequently by either a plumber or the owner of the system.